Lenovo had plenty to say at IFA 2013 earlier this month, and now the hardware producer has crossed the pond with even more goods to show during the Intel Developer Forum (IDF). 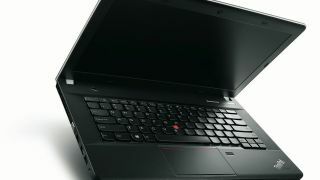 The company is sticking with notebooks, including refreshes of the T440s and T440 announced just a week ago, and gearing IDF's ThinkPad offerings towards its commercial customers. First up are the ThinkPad T440p and T540p business 'books, powered by up to Quad Core i7 from Intel (a.k.a. Haswell). Battery can last a long 13.7 hours for the 440p and up to 12.6 for the 540p. Nvidia GeForce GT730M fills the graphics void on certain systems, and up to 16GB SDRAM can be taxed for memory needs. SSDs and HDDs that top out at 1TB are also available for the machines. Lenovo is throwing up a 4G/LTE connectivity option, plus mini-Display Port, VGA, four USB 3.0 ports and and an SD card reader, all to make the T440p and T540p (pictured below) hum along. Next Lenovo is out with a 15.5-inch 3K IPS panel machine, the ThinkPad W540. It's portable and powerful, according to Lenovo, and interestingly it's described as an independent software vendor (ISV) certified mobile workstation. It weighs about five and a half pounds while measuring 27mm thick, so though it's no MacBook Air, it won't break your back carrying it around. The notebook too features a Quad Core i7 Intel chip (go figure at IDF) and houses a screen home to a 2880 x 1620 resolution. Interested parties can purchase a W540 with up to 32GB of memory. Nvidia Quadro graphics with Optimus 2D and 3D content creation come stored inside, and users have the option of up to 2TB of storage. With a W540 Thunderbolt port, users have access to high-speed data transfer, as well as an array of ports and connectivity via 4G/LTE WWAN. The W540 along with the T440p and T540p will be available starting in November, though Lenovo won't be ready to reveal pricing until closer to release. Lenovo also went for a bit of alliteration with the L Series ThinkPads, the L440 and L540, an entry business brand. The L series also feature fourth-gen Intel Core processors, plus vPro technology and easy integration into new or already up-and-running IT systems. Users can tap into Wi-Fi, Ethernet and 4G/LTE with either tablet. The L Series features dual HD noise cancelling mics and an HD Camera. The L440 makes space for HD+ while the L540 comes equipped with Full HD. The L440 will be available beginning next month starting at approximately $729 (about £463, AU$785), and the same price and release month goes for the L540 (seen below). Finally, Lenovo has the ThinkPad E Series, a pair of notebooks looking to provide small businesses with some value. The E440 and E540 stack the "one of the best value full function Windows 8 notebook experiences," so be warned (or rewarded) if you're a fan of Microsoft's OS. The E machines are thinner, lighter and more elegant than before, Lenovo noted, and feature Haswell (up to quad-core chips), optional Nvidia discrete graphics and storage up to 1TB. Memory can clock in at up to 16GB, but there's an optical drive as well. The E440 carriers a 14-inch HD+ screen on its front, and the 15.6-inch display on the E540 is Full HD. Both have antiglare properties, and users can opt for touch screen or larger gesture trackpads. Lenovo claimed there's improved voice over IP with the E series, and Dolby Advanced Audio could turn any quarterly report into a presentation to remember. Rounding out the E Series specs include Lenovo's OneLink technology, which entails a single cable connection to the ThinkPad OneLink Dock. Not only does this channel power to the ThinkPads, it offers a driver-free video connection, USB 3.0, gigabit Ethernet and audio. The E440 and E540 ThinkPads will be available in select markets starting in October, with the first priced at approximately €649 (about $860/£547/AU$926)and the second €629 (about $833/£530/AU$897). Check out all the latest from IDF 2013!